This was a quick weekend sewing project that I finished this afternoon. It's a short-sleeved polka dot dress, another pattern from the Machiko Kayaki book Simple Style Dress. 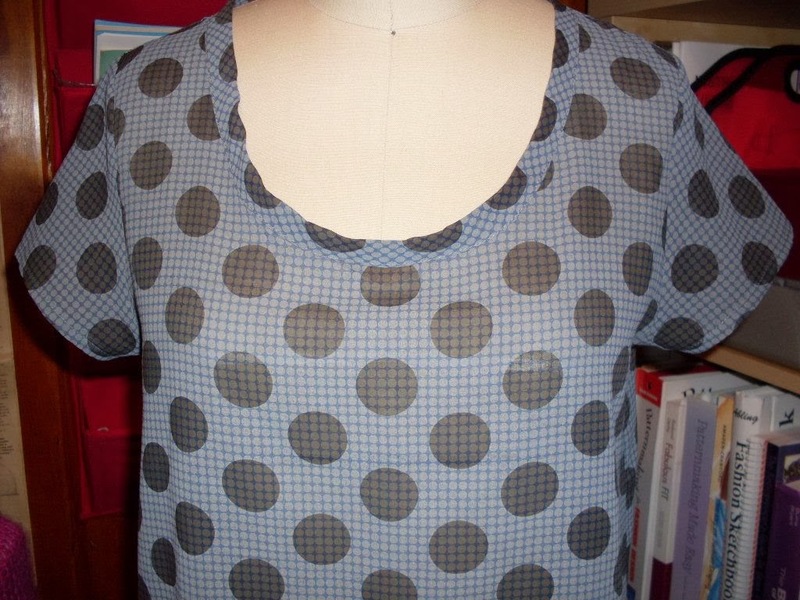 I love the scoopneck and how the neckline trim slightly puckers out. It's a simple, but unique detail. The dress is made from a slightly sheer cotton voile, so it would probably be best to wear a slip underneath. This will be a perfect dress for when the weather heats up again.